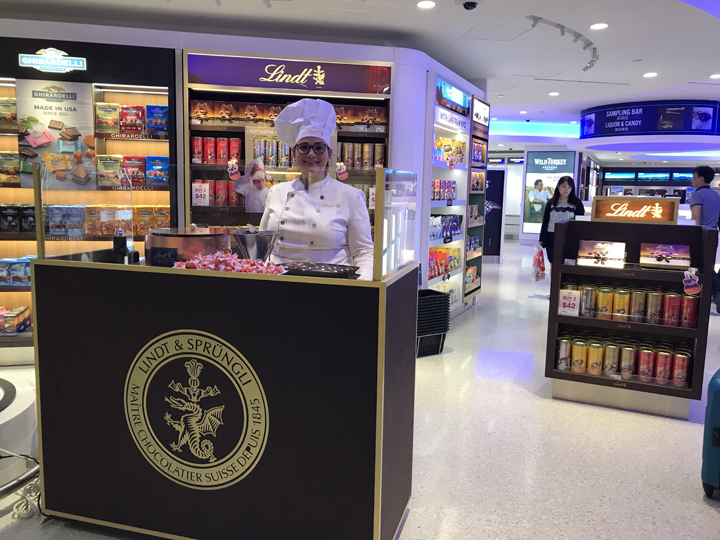 Lindt’s Master Chocolatier treated travelers to freshly prepared LINDER Truffles at International Shoppes new Terminal 1 store at JFK in New York. Lindt & Sprüngli Travel Retail is bringing ‘magical moments’ to travelers around the world with the debut of live Lindt Master Chocolatiers in the North American travel retail market. Lindt & Sprüngli Travel Retail helped International Shoppes celebrate the opening of the new store at JFK Airport Terminal One by treating passengers to LINDOR Truffles freshly prepared by the Lindt Master Chocolatiers, who entertained shoppers with a live chocolate-making demonstration. 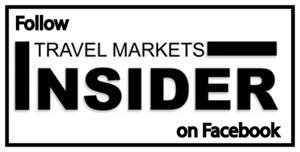 The 11-day event, the first of its kind in North American travel retail, was the result of the strategic partnership between Lindt & Sprüngli Travel Retail, IS and Otis McAllister Distribution. During the campaign, sales through the International Shoppes store grew by double-digits, with sales of theme items such as LINDOR up by nearly 80% compared to a normal trading day. LINDOR is one of the key brands for the Lindt & Sprüngli company with sales of over US $1 billion. It is also one of Lindt’s focus initiatives in the travel retail channel. Lindt & Sprüngli Travel Retail plans to bring the Lindt Master Chocolatiers to other selected major North American travel locations in the near future to help convert more passengers into duty free shoppers. The activities aim to bring the Lindt brand to life and appeal to growing numbers of millennial travelers at US airports, who are looking for unique gifts and authentic experiences. Matthew Greenbaum, GM of International Shoppes said that he was “delighted to partner with Lindt & Sprüngli and Otis McAllister to develop a significant brand presence within our new duty free space at JFK Terminal One. Lindt is featured immediately at the store front along with a beautiful back wall and gondola, which travelers from around the world instantly recognize and are drawn inside the space. “We are very grateful for the productive partnership and are extremely encouraged by the sales results so far,” said Greenbaum.